A clever action thriller, Vantage Point rises above the routine thanks to a patient structure that reveals the twisty plot from the viewpoints of several key characters. A diplomatic anti-terrorism summit is being held in the small town of Salamanca, Spain. 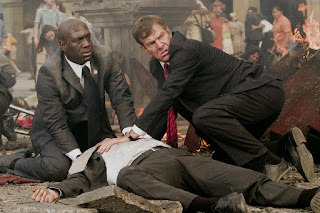 Early in the public ceremony witnessed by large crowds and covered by the international media, United States President Harry Ashton (William Hurt) is shot twice by an unseen assassin; then two explosions rock the city, causing mass casualties and panic, and killing opinionated reporter Angie Jones (Zoe Saladana). The events are presented from the perspective of multiple witnesses, including television producer Rex Brooks (Sigourney Weaver), secret service agent Thomas Barnes (Dennis Quaid), local police detective Enrique (Eduardo Noriega) and American tourist Howard Lewis (Forest Whitaker). Gradually the threads of the conspiracy are revealed, and Barnes stumbles onto a much more complex plot involving layers of decoys, distractions and subterfuge. Directed by Pete Travis, Vantage Point maintains a high level of energy thanks to slick production values, an intriguing mystery, and a puzzle-like structure. Although the rewinds and repetitions begin to become a bit tiresome about halfway through, there is enough juice in the story to maintain strong momentum. The film's hook resides in the convoluted plot that is only gradually teased out of the multiple perspectives. Each retelling of the events at the public square pushes a bit deeper into the background and consequence, and it becomes apparent nothing is what it seems to be, no matter how many people witnessed the murderous atrocities. There are layers of deception and counter-deception at play, a chess game unfolding on the public stage but planned in the conspiratorial shadows. The plot spends as little time as possible on politics and motives, and focuses instead on thrills and spills. 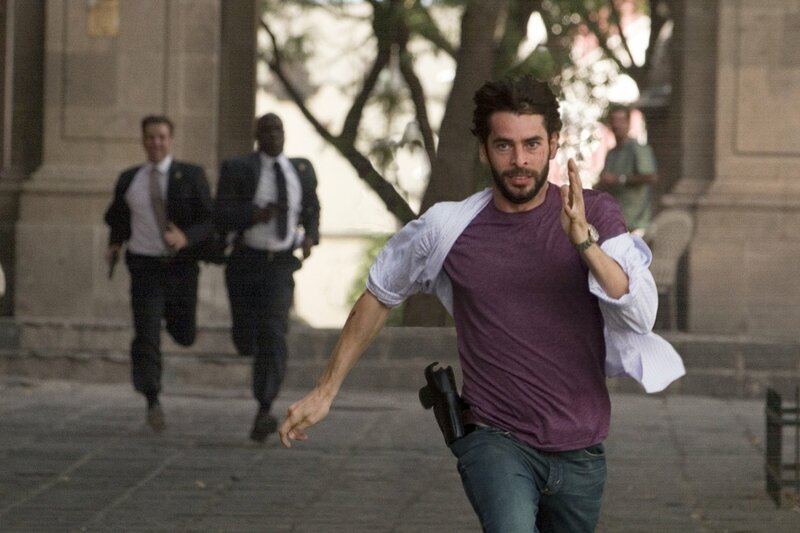 An attack on a hotel is a smooth demonstration of one against many, while a long urban car chase recreates Bourne-style intensity but with less manic editing. Meanwhile the large explosion in the square is viewed from multiple angles but never loses its jarring impact. And the film finds a frantic yet tidy conclusion, all the vantage points coming together at the same time and place. The ensemble cast shares the chapters, and gradually Dennis Quaid moves into centre stage. 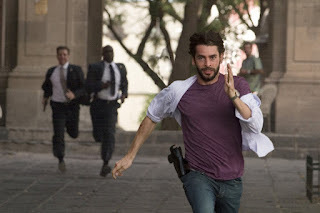 His character Thomas Barnes is provided with a brief background as a secret service agent still healing from the emotional scars of having taken a bullet to save the President's life during a previous assassination attempt. Given the fragmented scheme unfolding around him, Quaid does well to inject some character intensity into his scenes. Barnes' partner Agent Kent Taylor (Matthew Fox) and initially peripheral characters Veronica (Ayelet Zurer), Sam (Saïd Taghmaoui) and Javier (Édgar Ramírez) gain in prominence as more is revealed about the plot. Vantage Point defines its ambition and stays within it, delivering a controlled multi-angled barrage of thrills.